To be created in the Imago Dei (image of God) means being endowed with a body, soul, and spirit and a capacity to know and be known by God... After the fall, God's image in humanity was distorted by sin, but it was not lost. All of us are familiar with the classic hymn Holy, Holy, Holy, where the refrain declares the eternal truth, “God in three Persons…bless-ed Trinity.” One God, three distinct Persons; set apart from each other and yet equal. Personhood exists in the Godhead. This is a great and profound mystery. When God created humans, He imparted a similar attribute of personhood. 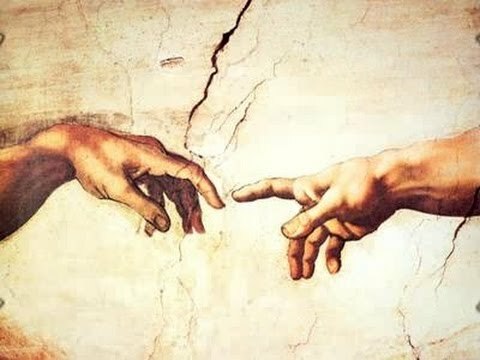 Genesis 1:26-27 reads, “Then God said, ‘Let us make man in our image, after our likeness…So God created mankind in His own image, in the image of God he created them; male and female he created them” (NIV). In the original Hebrew this would have meant, “Let us make man to be like us and to represent us.” An example would be the sacrament of marriage where “two become one flesh” (Mark 10:8)—two persons, co-equal in God’s eyes and yet one in unity. This same unity is evidenced by an individual person being composed of material (body) and immaterial (soul and spirit) elements. Both the Hebrew word for “image” (tselem) and “likeness” (demut) refer to something that is similar, but not identical to the thing it represents. The attribute of “representation” separates all human life from the rest of God’s creation. This state of being “set apart,” derived from the Hebrew word qadosh, is often translated in our English bibles as “holy,” “sacred,” or “sanctified.” From this concept, we derive the term “sanctity of life.” While it is true that this difference from the rest of the animal kingdom is not absolute, it is also true that we are much more like God than all the rest of creation. This concept formed the foundation of human exceptionalism, human dignity, and respect for human life throughout Western civilization and history. Imago Dei is Latin for the “image of God.” To be created in the Imago Dei means being endowed with a body, soul, and spirit (1 Thess. 5:23), a capacity to know and be known by God, and a measure of free will in the areas of thought and action that allow us to serve His purposes and glorify Him. But mankind’s rebellion corrupted His image. Perhaps the greatest argument for the sanctity of life is the Incarnation itself. Jesus took on human flesh and dwelt among us that He might redeem fallen mankind. Our redemption in Christ is a progressive recovery of God’s Image. Paul says that, as Christians, we have a new nature that is “being renewed in knowledge after the image of its creator” (Col. 3:10). At Christ’s return, there will be a complete restoration of God’s image. “God has predestined us to be conformed to the image of His son” (Rom. 8:29; 1 Cor. 15:49). “When He appears we shall be like Him” (1 John 3:2).